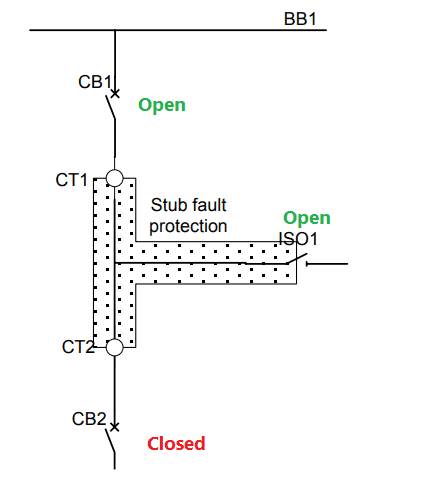 Stub protection is nothing but a simple Phase over current protection which is used to protect the power system under ring bus or one and half bus configuration when the line isolators are opened. 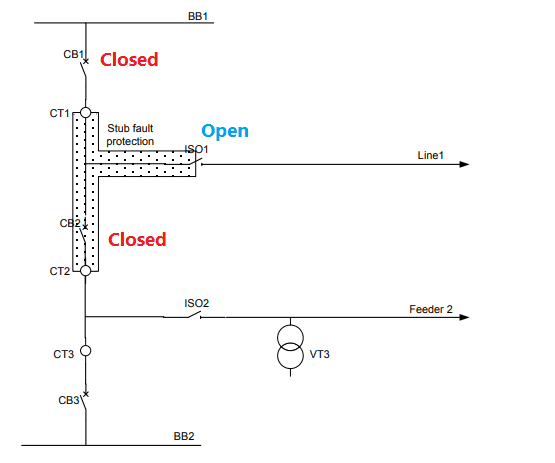 With the one and-a-half breaker configuration an operating mode is possible whereby the feeder is out of service (the feeder 1 isolator opened) while both circuit breakers are in closed condition such a bus system is called stub bus. It just shares the loads between the buses. Let us assume an one and half breaker configuration, Now the isolator1 is in open condition. CB1 and CB2 is in closed condition. Now All faults in the zone between CB1, CB2 and ISO1 are stub faults. 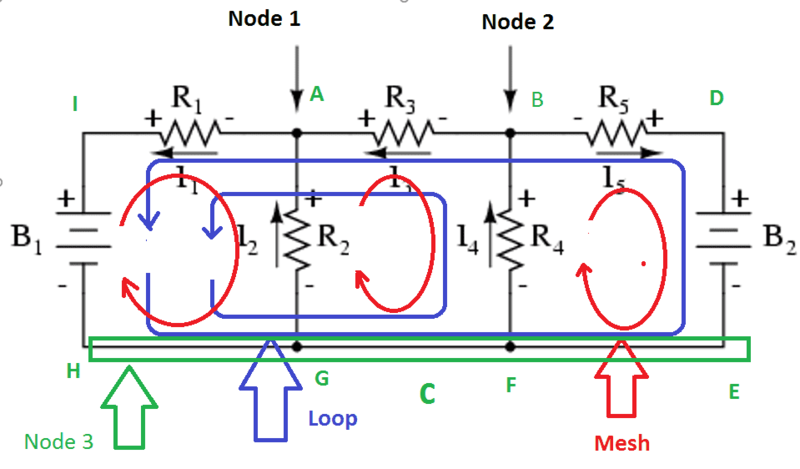 The Stub protection boundary is defined by the location of the current transformers as shown above. This section cannot be protected by the distance protection function if the line isolators are opened. 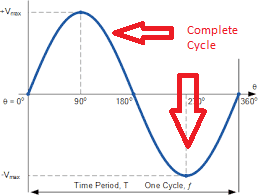 The use of the function can be extended to various other purposes, when a three phase overcurrent protection can operate only under special external conditions. Let us assume an one and half breaker configuration, Now the isolator1 and CB1 is in open condition. CB2 is in closed condition. Now fault between the Circuit breaker 1 and the current transformer 1. In this condition the relay belongs to CB1 send the trip command to the CB2 breaker even the CB1 is in open condition. This kind of backup protection is called stub protection. Note: the stub protection will be enabled only, the line isolator1 in open condition. Generally, To enable this function, the isolator status feedback contact will be given to the distance protection.